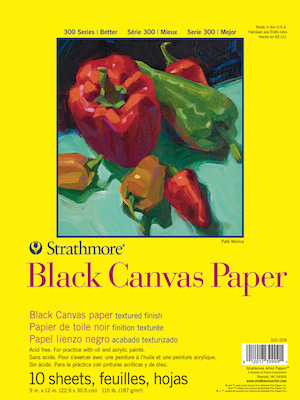 A black canvas-textured paper great for sketching and practicing techniques with oils and acrylics. Pads contain 10 acid-free sheets of 115 lb. (187 gsm) canvas-textured paper.